SHANGHAI — Mercedes-Benz is carving out yet another niche in the burgeoning crossover market with a new small people mover — this one styled like a traditional SUV — underscoring the rapid fragmentation of the segment and a practice once common in the car market. 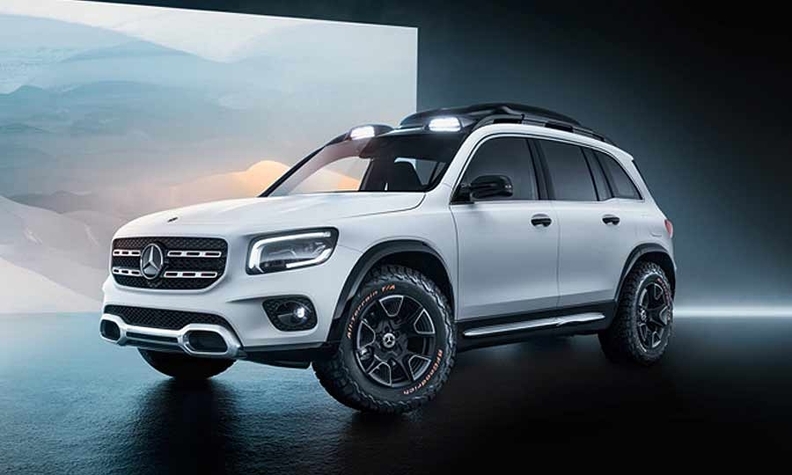 The German luxury automaker introduced the concept GLB — a new MFA2 platform companion to the GLA — on the eve of the Shanghai auto show. "It's a functional, small SUV, more of a people mover, whereas the GLA is sportier," Greg Barnes, president of Bill Ussery Motors in Coral Gables, Fla., and chairman of Mercedes-Benz's dealer board. In the U.S., the GLB will compete with the Lexus NX, Cadillac XT4 and BMW X1. In China, the model will go up against BMW X1 and Audi Q3. The GLB, which slots between the entry-level GLA and the GLC, adds another crossover in the Mercedes showroom aimed at entry-level luxury customers. Overall, sales of luxury compact crossovers rose 13 percent in the first quarter, making it one of the fastest-growing product segments. "The GLB class will likely outperform the GLA class in the U.S. market thanks to its greater utility, and American customers tend to like boxier and more traditional upright SUV proportions like the GLB class will have," Kim said. Being on the large side for the segment — with three-row seating — the GLB, however, risks cannibalizing some GLC sales. The GLB is also equipped with Mercedes' new multimedia system — Mercedes-Benz User Experience.